The report "Packaged Substation Market by voltage Split (below 36kV and above 36kV to 150kV), by Application (Industrial, Infrastructure, and Power Utilities & Generation) and by Region - Global Trends and Forecasts to 2019" The market study on packaged substation defines and segments the market with regional forecast and revenue estimates till 2019. The top market players from the industry segment have been studied in order to track developments, technologies, and other key business strategies that define the packaged substation’s market environment. A packaged substation provides a better alternative for distribution utilities with lesser space requirements. 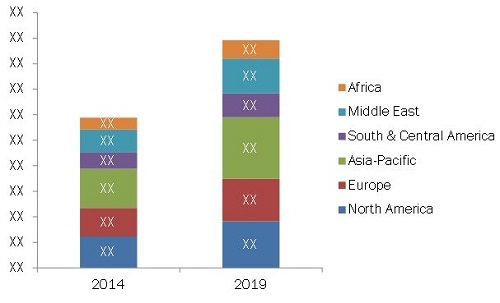 The global packaged substation market is expected to be valued at $6.89 billion in 2014, and is projected to reach $11.20 billion by 2019, at a CAGR of 10.19% from 2014 to 2019. The Asia-Pacific region holds the largest market for package substation, driven largely by the number of distribution network upgrades and developments in China, India, and the Southeast Asian countries. This growth is attributed to growing urbanization and industrial revolution in the region. Uninterrupted power delivery to machines is paramount in all industries. Any interruption or breakdown can result in huge losses due to increased non-productive time. Packaged substations are used in industries to transform voltage, prevent damage to expensive instruments caused by overload and over-temperature, overcurrent, jams and undercurrent, high resistance winding faults, current and voltage unbalance, phase loss, and phase reverse. Packaged substations comprise advanced technologies such as integrated voltage transformation, equipment protection, metering, data logging, and remote communication. These advanced technologies transform voltage for industries and help to minimize loss and maximize efficiency. The packaged substation industry is fragmented and offers several opportunities for consolidation and growth in efficiency through an increase in economies of scale. The industry has low entry and exit barriers. This is a major driver of the packaged substation market. The top players of this market include ABB (Switzerland), Schnieder Electric SA (France), Eaton Corporation (Ireland), GE (U.S.), and Siemens AG (Germany).